"The “Muslim” has come to be a hollowed, emptied term that functions as a trigger for white anxiety. Little surprise then, when you add Muslim next to another anxiety-laden word “immigrant”, the result equates to half the country reaching out for the treadmill’s emergency red stop button. Modernity’s pace seems too quick for some, but the keen reader would have noted that in my opening agreement I put the Muslim in scare quotes. I do this for a reason. The word “Muslim” belongs to a conversation born out of the “war on terror”. I distinguish it from the quote-less everyday Muslim whose complex life is beyond the headline and Hanson’s narrow parameters. Any one simplified and generalising statement about Islam betrays the religion and its communities’ diverse contests, betrays Muslims’ internal debates on how to best articulate Islam’s universality. Whereas, the “Muslim” functions in a pure simplicity. It simply means them. It represents an abject figure that has to be excluded from the circle of us so to imagine a supposed pure integrity of our culture." We shall head to Jakarta in a week or two - not just to escape the haze but to introduce all the cousins to Sophia. 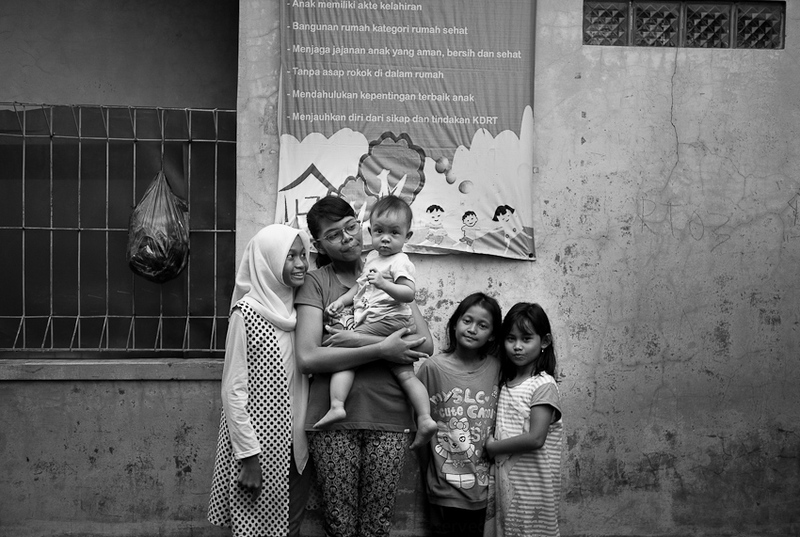 More images from Jakarta can be found here, & other parts of Indonesia here. The background to one of my stories, A Girl & a Guy in a Kijang in Kemang, set in Jakarta can be found here.